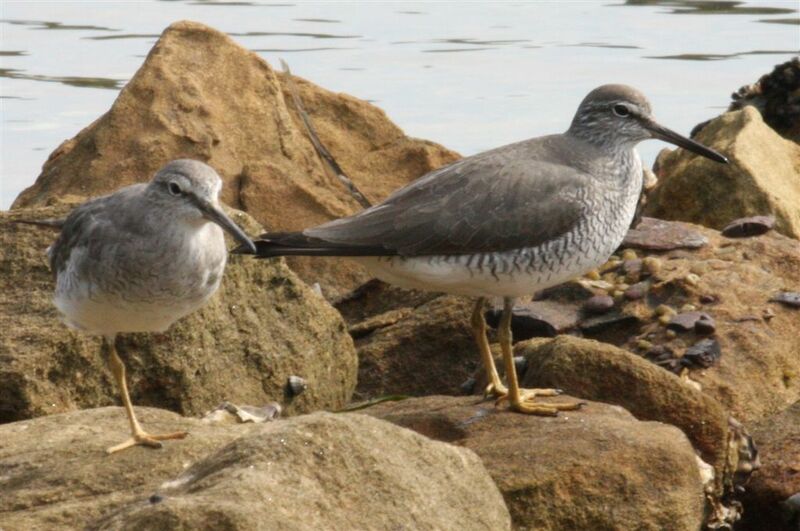 Most Grey-tailed Tattlers migrate each year from their Siberian breeding grounds to northern Australia, mainly through Japan. 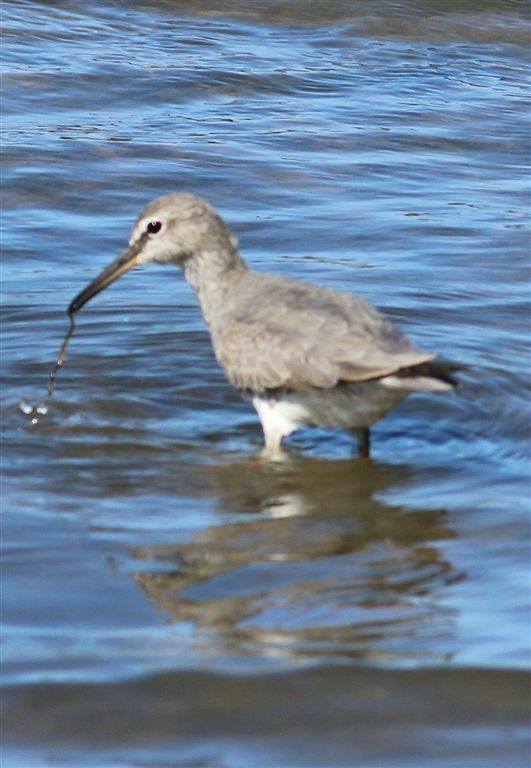 Comparatively much smaller numbers push further south; Port Stephens has one of the larger southern populations in summer although the numbers visiting are very small compared to what happens in the north. 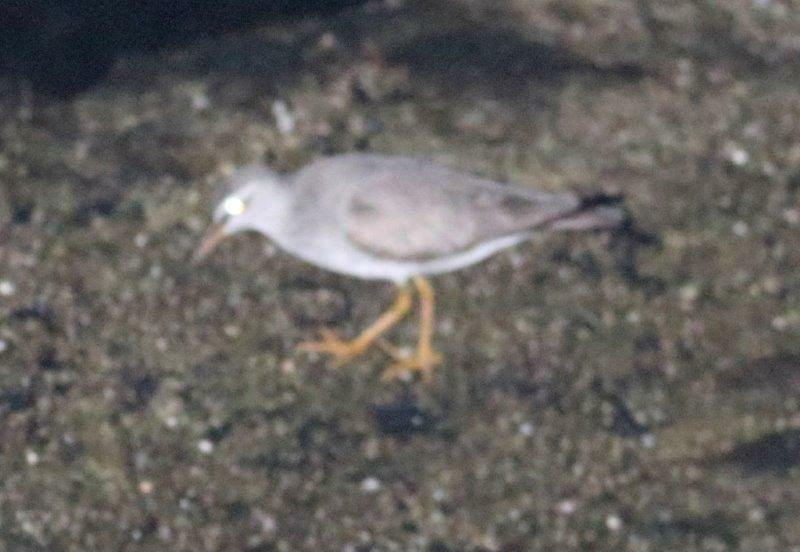 Grey-tailed Tattlers are a very interesting shorebird, seemingly with some significant behavioural differences to most other shorebird species. But they are poorly studied – and that’s where Lois and I come in. 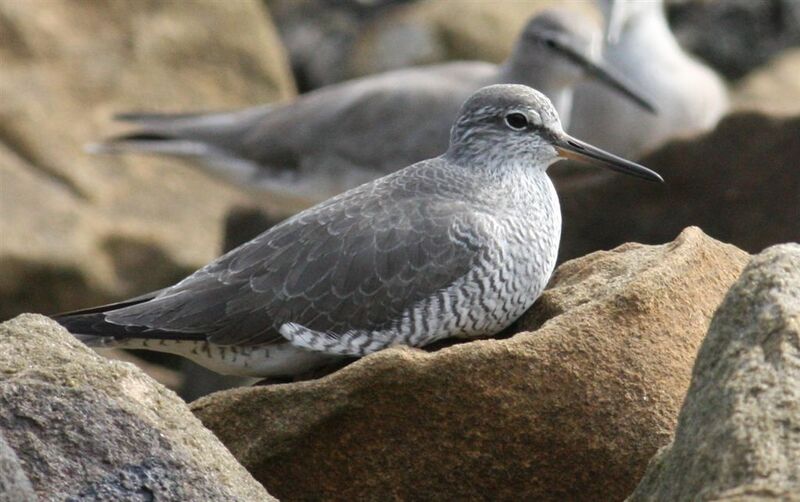 We've reasoned that we can learn more about Grey-tailed Tattlers through studying our small local population, than can ever be learnt from the larger populations which often are in remote and nearly inaccessible places further north. 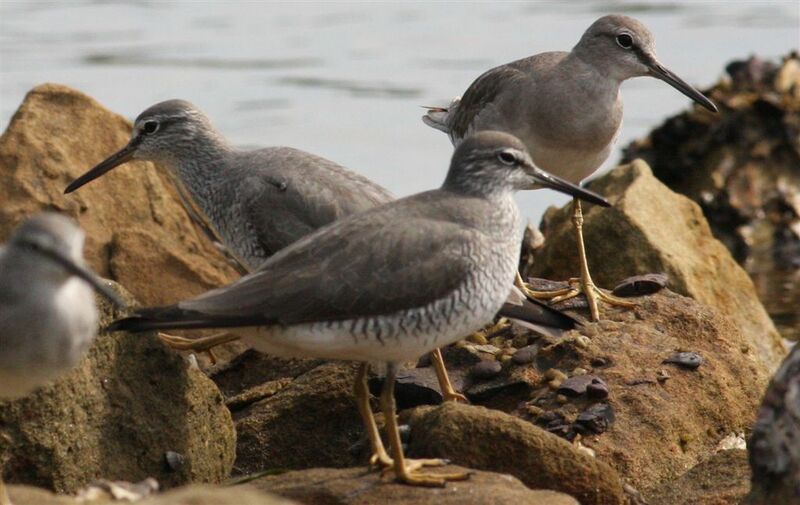 Soon we will have a dedicated website for Grey-tailed Tattlers - the address is www.tattlers.org (a link to it doesn't work because we haven't yet put the site into the public domain). http://youtu.be/gV7AyRYVK1I . The filming was done by Genzo Naida. 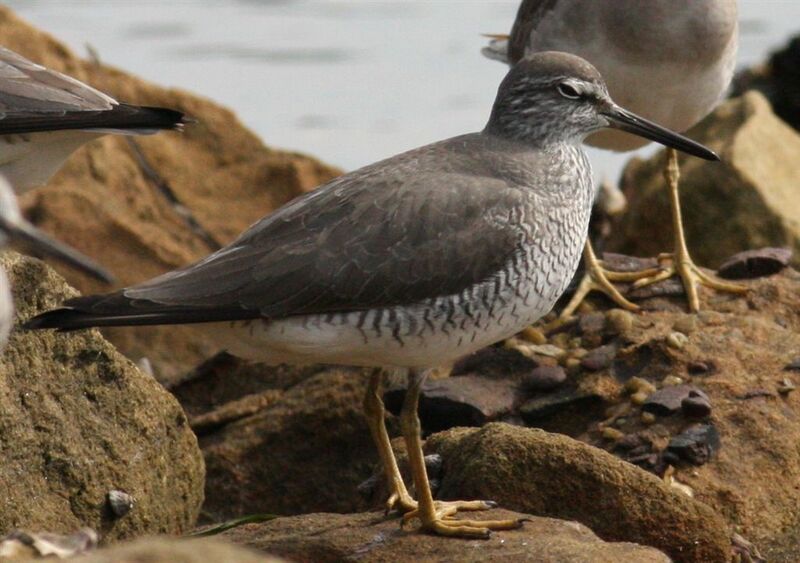 We're building a website dedicated to Grey-tailed Tattlers! It will go live probably at the end of April 2017. The address for it will be www.tattlers.org (which is not yet placed into the public domain; I'll tell you when it is!). 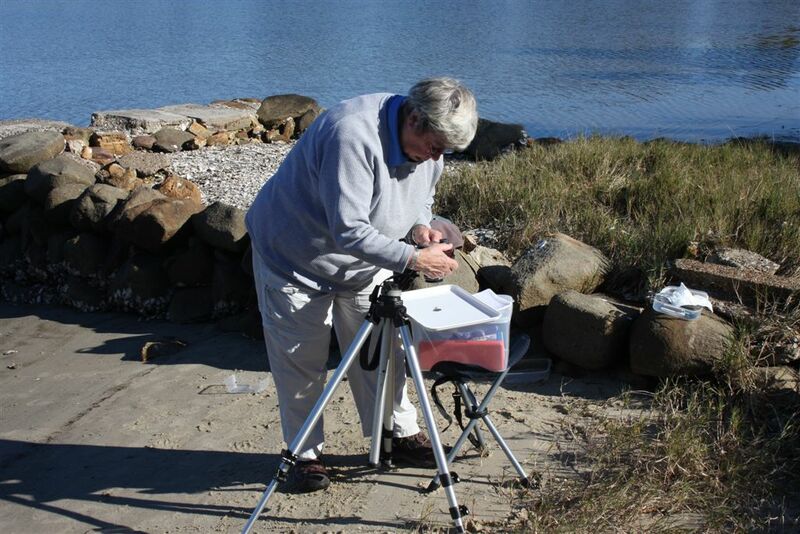 There were almost no tattlers in Port Stephens in 2016-2017. 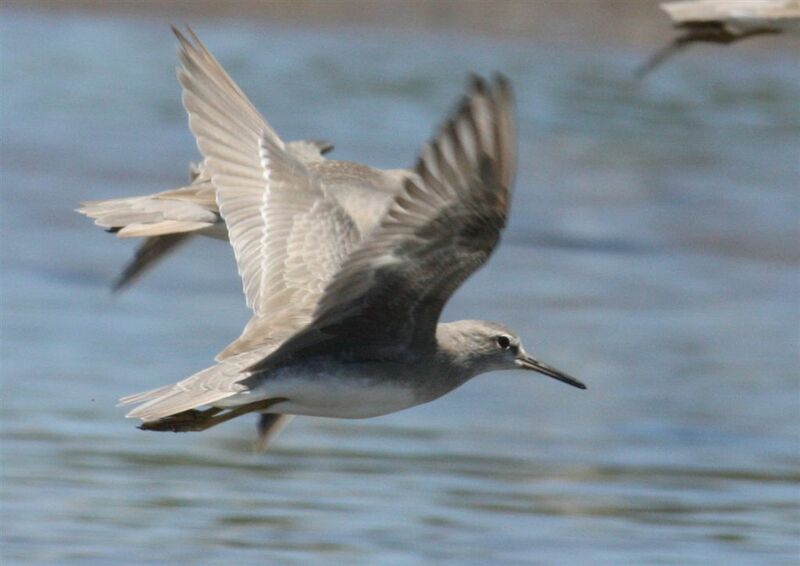 In November we could only find 11 birds. Previous seasons there have been 100 or so of them. We don't know why this big decrease has occurred. I can't work out how to delete this redundant table!! Things have been fairly quiet in recent months so far as field activities go. 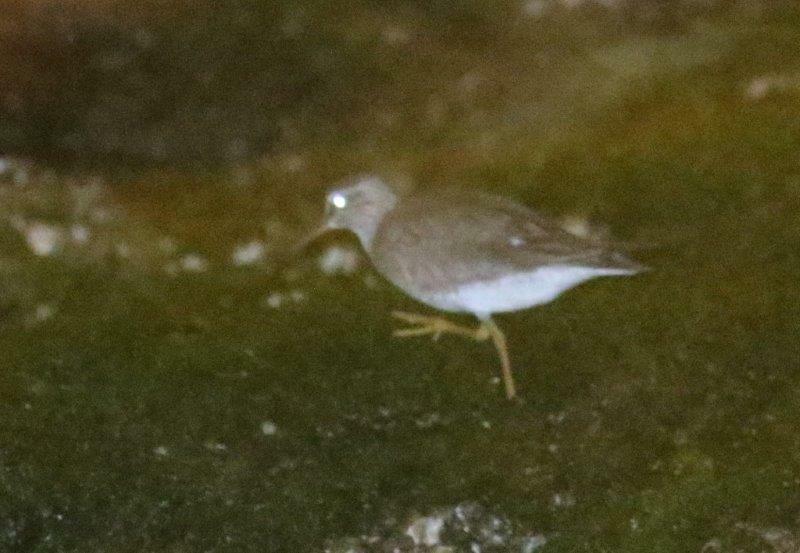 However, we wrote a paper (about nocturnal foraging by tattlers) which was published in Stilt, the journal of the Flyway. 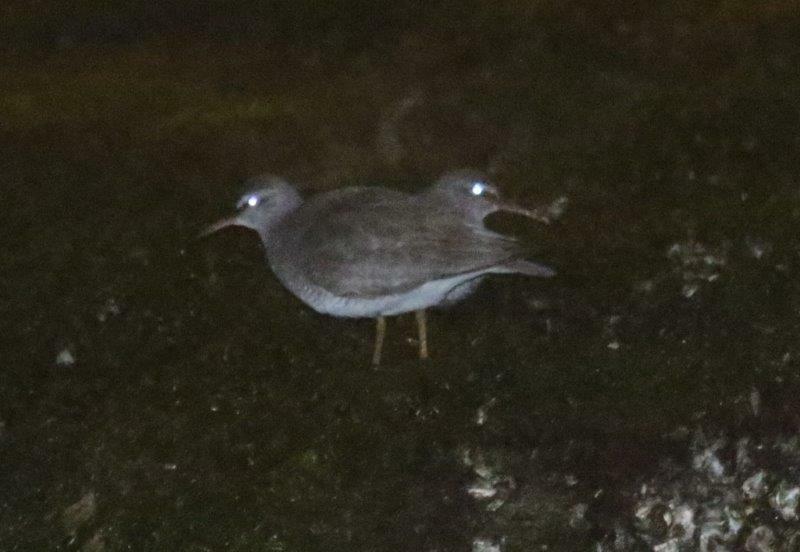 And we've done some preliminary work on a more major paper, which will cover many aspects about the foraging behaviour of tattlers. There's still a lot of work to be done in terms of writing the paper (we've mainly just been sorting out the structure for it, so far). 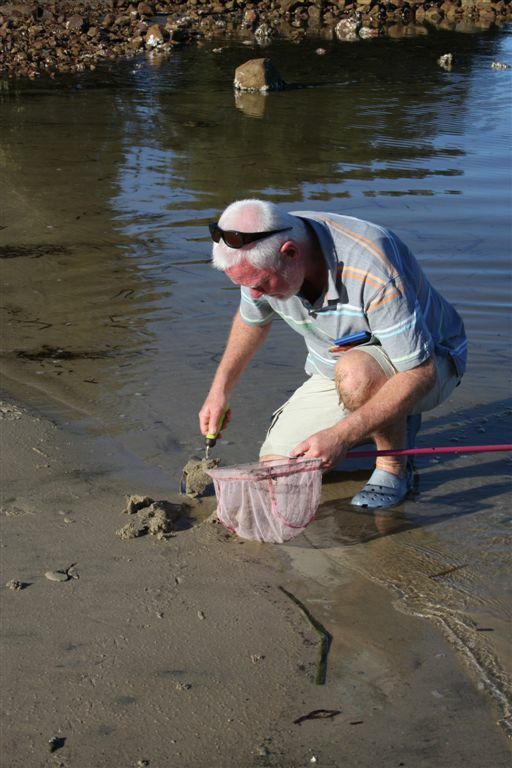 There will also be more field work required: we're hoping that when we have the structure for the paper decided, this will help us to focus our fieldwork. I went back to Japan in May 2015 (I was there over 17-23 May). I went to Najima Bay (near Fukuoka) and then to Tokyo Bay, spending a couple of days at each location. In 2014, I went to both places, plus some others. 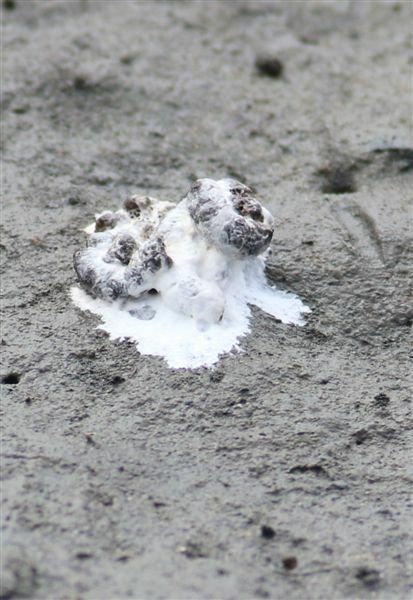 These two sites (actually there are 2 locations within Tokyo Bay: Yatsu-higata and Sanbanze) are the two best sites I've found for watching tattlers through the tide cycle. At other places that I've been to, the tide goes out a long way and there's no way to watch tattlers from about 2 hours after the high tide. 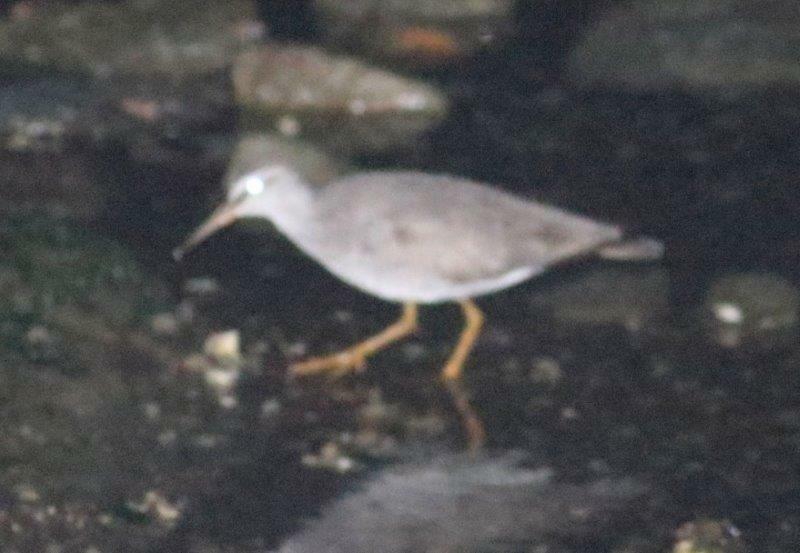 In Fukuoka, on of my aims was to investigate night foraging by tattlers. I had some disrupted nights (3 of them!) 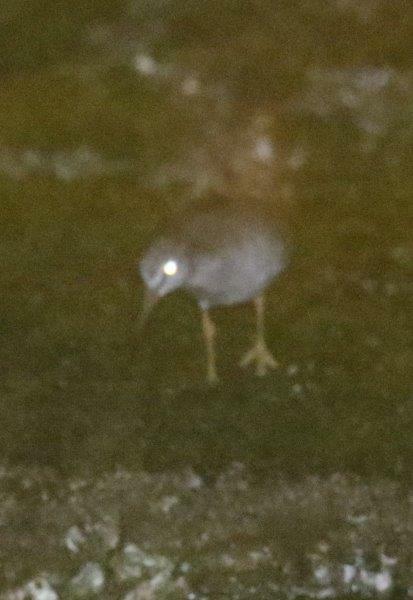 but it's now 100% confirmed that they forage at night. There are some photos posted above, and we are well advanced in writing a paper about nocturnal foraging. 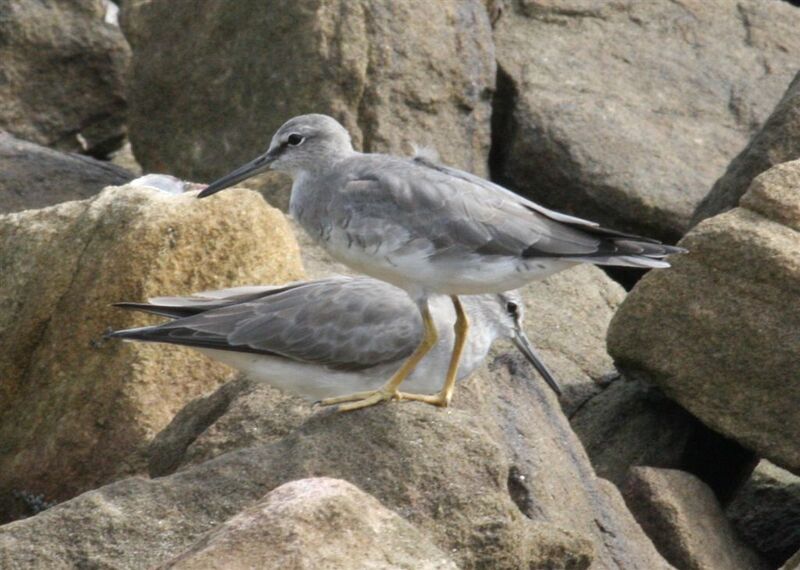 At the Tokyo Bay sites I saw some good examples of aggression between birds. 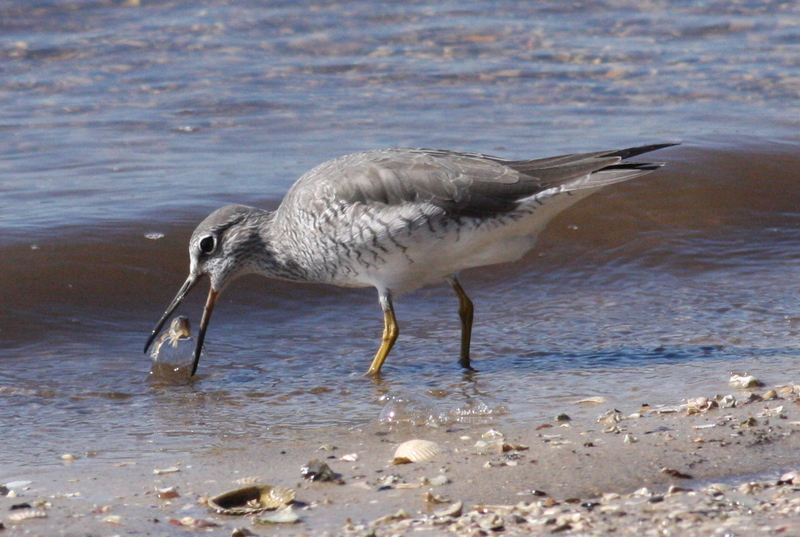 Also, I watched a group of over 20 tattlers catching bloodworms, doing so by standing in belly deep water and carefully stabbing at their prey (which seemed to be swimming). 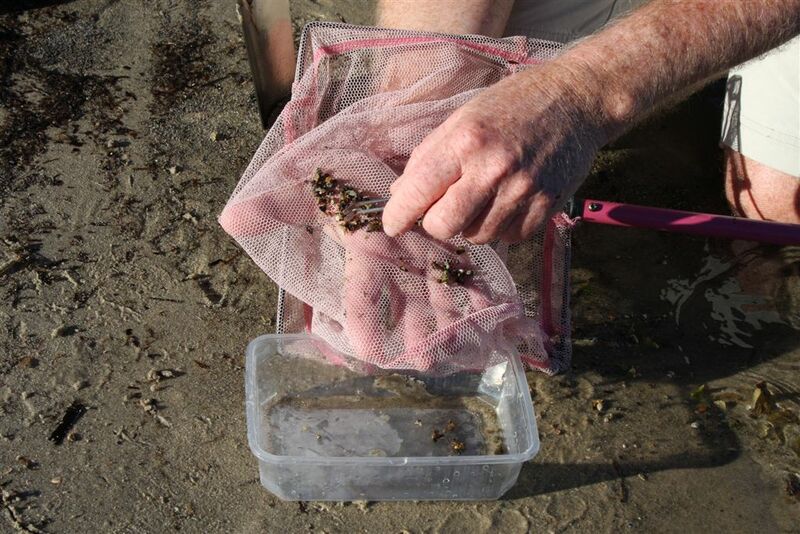 Their capture success rate was quite high!